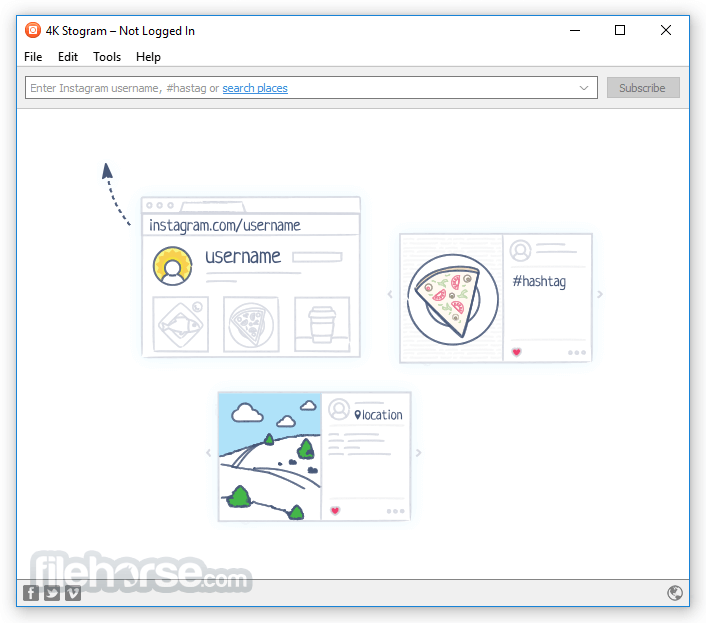 4K Stogram is an Instagram Viewer and Downloader for PC, macOS and Linux. 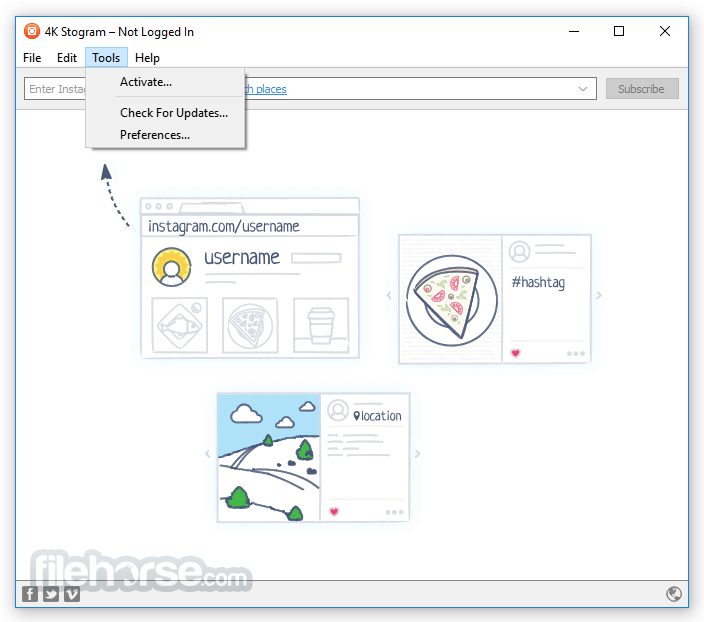 Download photos, videos and stories from your friends’ public and private Instagram accounts, backup your Instagram profile and import your list of Instagram subscriptions. Download Instagram accounts, hashtags and locations! Get started for free! Grab photos of accounts simultaneously and save them in JPEG on your desktop. Follow your favorite photographers and get their latest photos automatically. 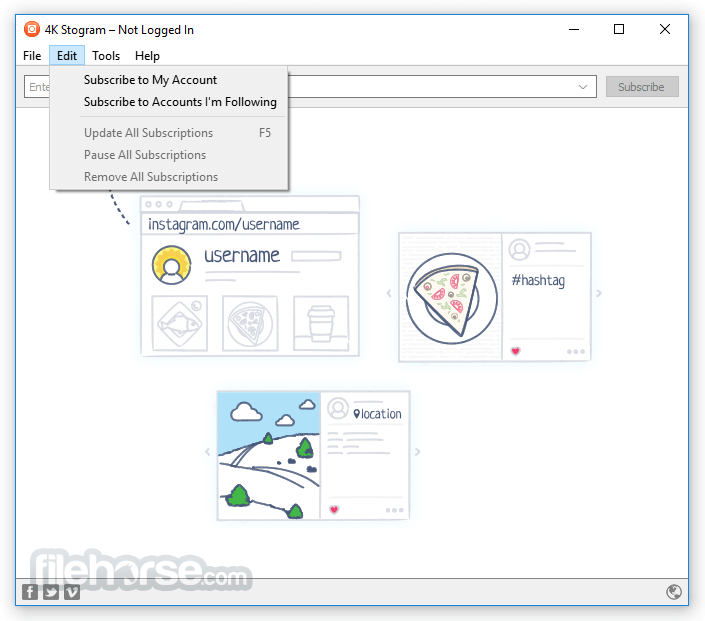 Login with your Instagram credentials and download photos of private friends accounts. Access to your viewer directly from the application. Download Instagram video in MP4 format and Enjoy the minimalist interface of application! 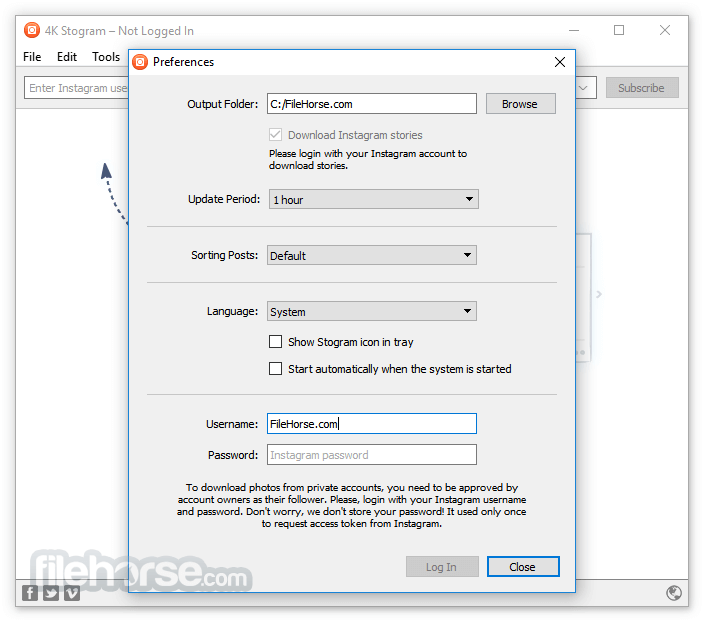 Download 4K Stogram for Windows PC Now! Just enter an Instagram username, hashtag or location and press 'Subscribe' button. Explore photos, videos and stories from different places, subscribe to any account’s photos and their following list. And best of all it's Free Instagram Downloader. Subscribe to following accounts list of any Instagram user and watch new photos uploaded by them in real time. Save short-living daily images and videos from any Instagram account for good. Grab videos in MP4 format from Instagram accounts, hashtags and locations after enabling this handy feature. Keep your subscriptions database safely: export it and import after major computer reinstallations, so no images and accounts are lost.